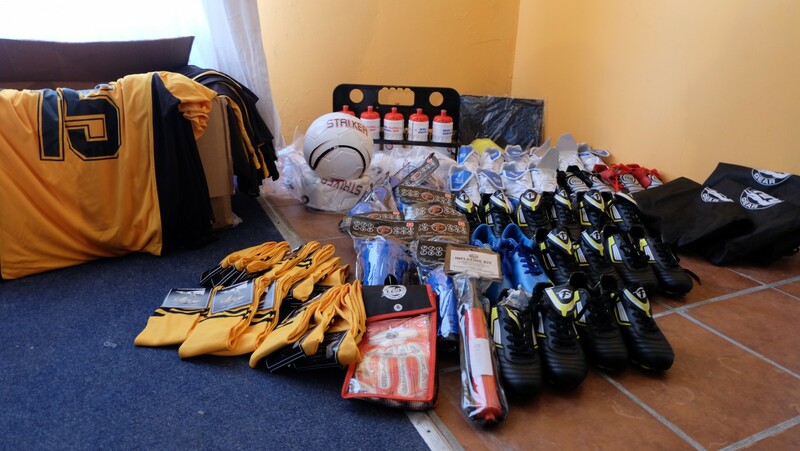 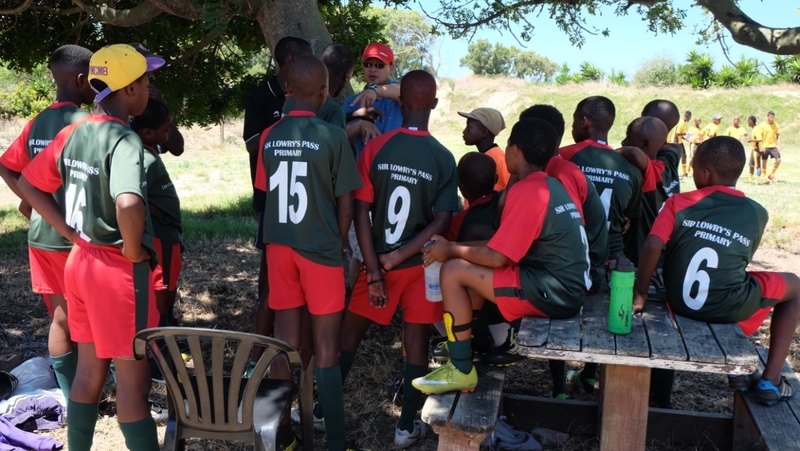 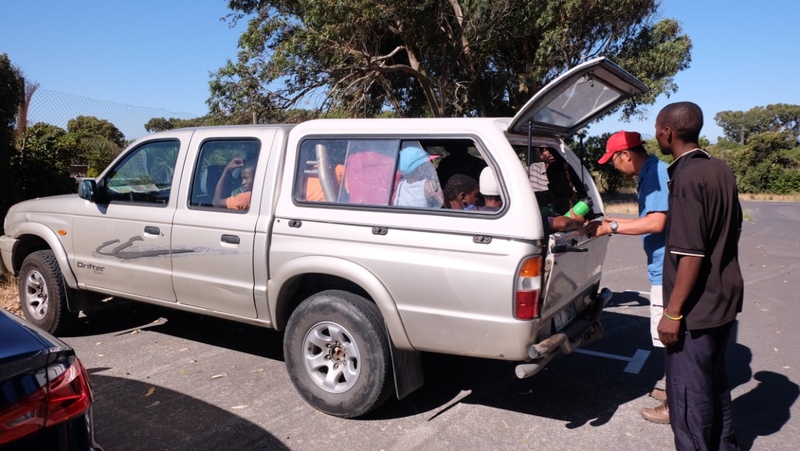 The 3rd Boots & Balls event took place in Vulamasango near Cape Town on the 17th December 2015. 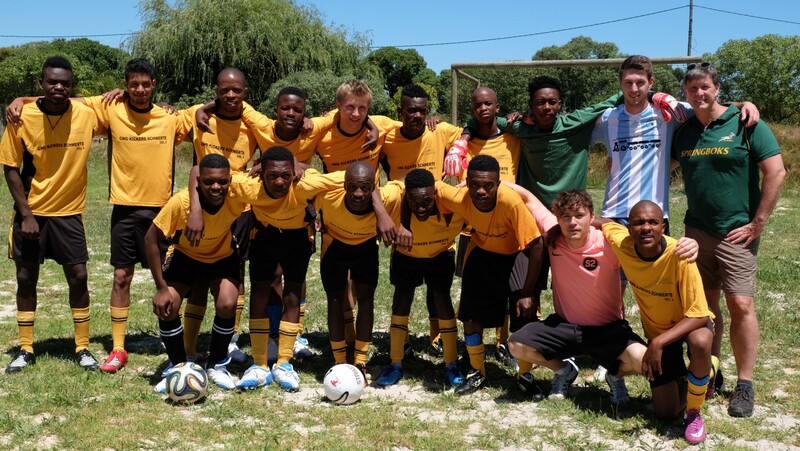 The team of Vulamasango with their new soccer-shirts, shorts, boots and more. 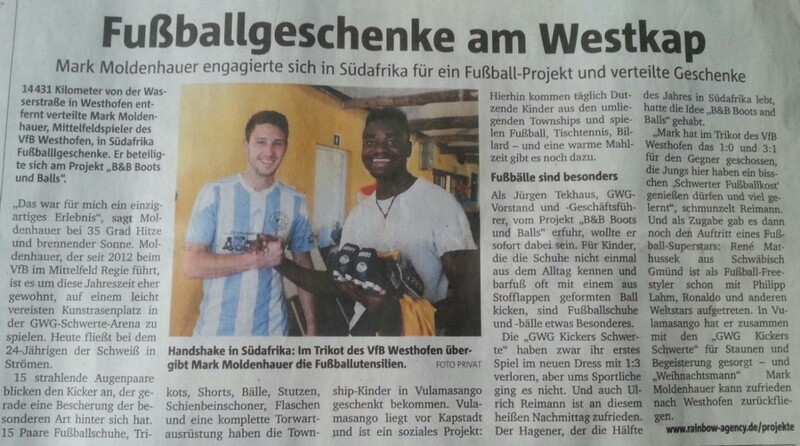 It was Mark Moldenhauer player of VFB Westhofen who gave it to them. 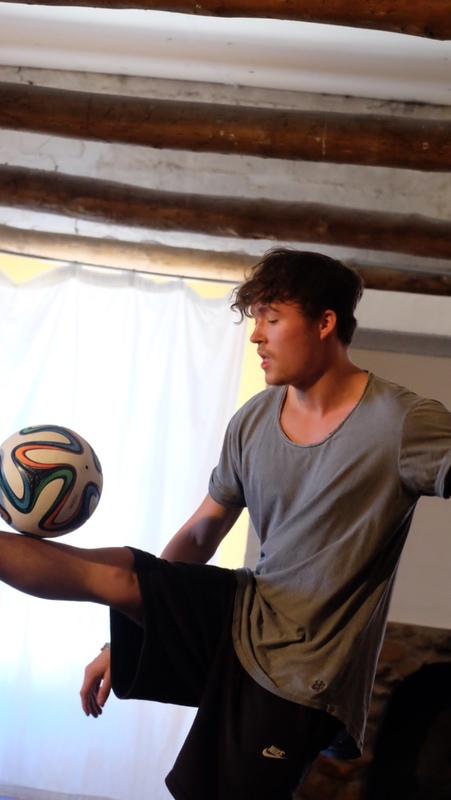 Also part of the event his father Frank and football-freestyler René Mathussek (pink shirt). 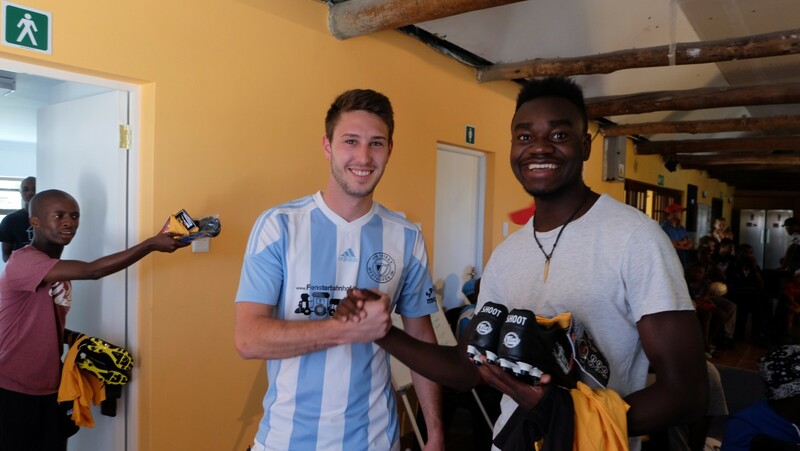 Handover of the new equipment by Mark Moldenhauer….